Taipei, Taiwan – January 29, 2019 – Join AVer for Interactive Systems Europe 2019 at RAI Amsterdam in Amsterdam, the Netherlands. ISE is the world’s largest exhibition for AV and systems integration professionals and brings together organizations from across the globe to learn and do business. AVer will be revolutionizing the meeting room at ISE 2019 with the debut of our first video conferencing integrated interactive flat panel for business and the extremely versatile, wide angle CAM340+ Huddle Room Conferencing Camera. We invite you to join our team at booth #11-D160 and get firsthand experience with the tools that are reinventing business meetings and changing the way we collaborate. Our booth will also display the technology that is helping push the boundaries of communication with AVer room-based and USB Conferencing Systems. On display at booth #11-D160 will be the communication enhancing AVer SVC500 Multipoint Conferencing System. 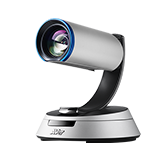 With a powerful codec that supports WebRTC, Skype for Business, SIP, and H.323 protocols and featuring Forward Error Correction technology, the SVC500 provides a compatible, secure, and easy-to-use video conferencing experience that helps connect teams and enhance collaboration in organizations. Guests to our booth will also find the latest AVer USB Conferencing Cameras and discover how the AVer CAM540, VC520+, and VB342 can change your collaboration experience. 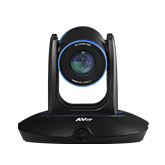 The futuristic AVer CAM540 Conference Camera brings AVer SmartFrame auto-framing technology to 4K high definition video conferencing. With a wide field of view, the CAM540 is guaranteed to provide an incredible communication experience in your meeting room. Bringing ease of use to your meetings, the AVer VC520+ Conference System is an indispensable video collaboration tool for businesses that use web- or cloud-based conferencing. Equip your teams with a powerful camera and advanced speakerphone that is suitable for any sized meeting room with the VC520+. Looking for an all-in-one conferencing solution? 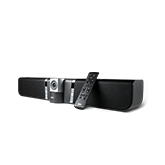 The AVer VB342 Video Soundbar provides your communication network with sharp audio and impeccable 4K video quality. Perfect for huddle and medium sized rooms, the VB342 will change how you collaborate in the office. Rounding out the AVer showcase are AVer’s Camera Technologies including the PTC500S Professional Auto Tracking Camera, the Premium PTZ330 Camera, and our high quality ODM/OEM services. The PTC500S is the ideal hands-free target tracking camera. Featuring three unique strategic tracking configurations, the PTC500S provides professional video quality for capturing, streaming, or broadcasting in even the most demanding lighting environments. The AVer PTZ330 is your first choice for maximum video quality and control. Integrated with AVer SmartFrame auto-framing and SmartShoot preset tracking, the PTZ330 makes creating impeccable video content simple, easy, and affordable to businesses of all sizes. AVer ODM/OEM services provide advanced video technologies and an award winning design that help you bring to life your ideal product and envision your brands success.